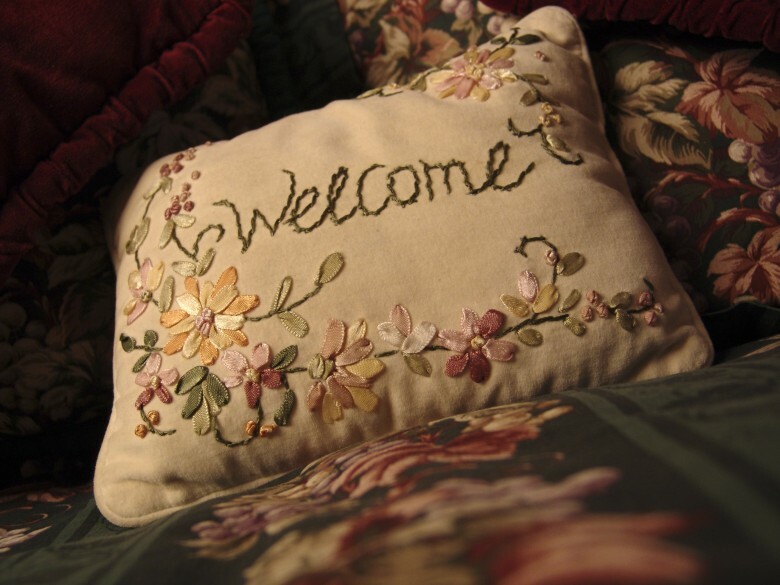 (close to everything), with friendly, personal service ! This majestic 1906 Queen Anne mansion, listed on the National Register of Historic Places, transports you to another time. 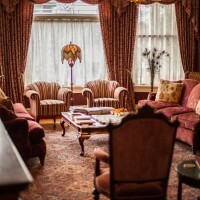 The eight guest rooms (all with private baths) are each unique and emanate Victorian charm. Historic yet up to date, the rooms are air conditioned and equipped with telephones, cable TV, and high-speed wireless internet access. 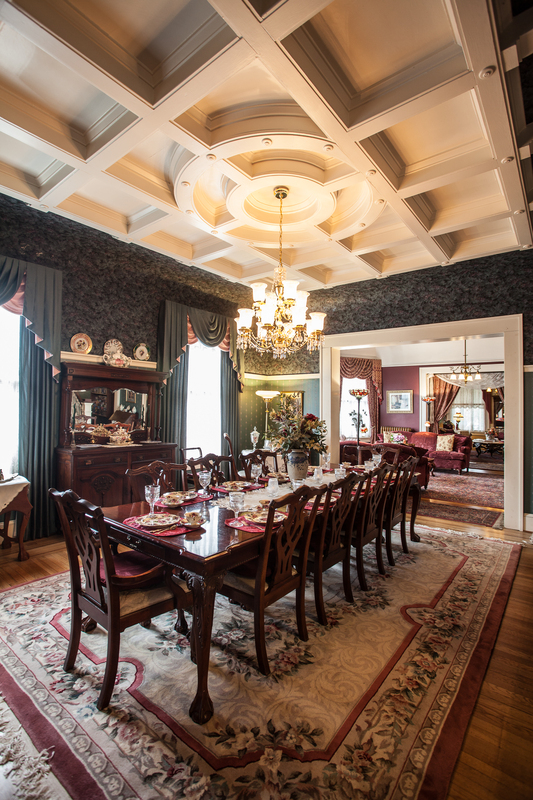 The parlors and dining room are comfortable, spacious, and decorated in period furnishings. 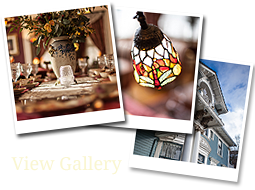 The Irvington Historic District is an ideal location for enjoying Portland. Shops, boutiques, theaters and restaurants are steps away, and the near by light rail whisks you to the Convention Center, the Saturday Market and downtown. 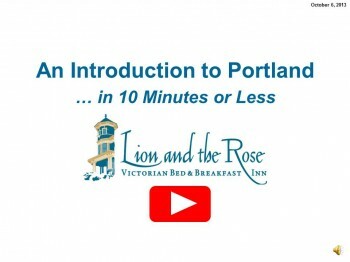 You can book your reservation with or without a hearty plated breakfast. If you choose not to have breakfast with us, there are several breakfast restaurants and cafes within walking distance. For multi-night reservations, you can also book with lite-housekeeping during your stay. In this case, we replenish towels and empty waste baskets every day, but leave the rest up to you. We appreciated the ‘welcome to the kitchen’ atmosphere to get refreshments, snacks and bottled water and beverages as we headed off for the day’s activities and returned home at night after a busy day. Steve and Dusty have obviously put their heart and souls into this place. Everywhere you turn you see little details of this: like the meticulously detailed furnishings [and] the little soaps in the shape of a lion and a rose. Breakfasts were spectacular – every day we were there (4) there was a different set of flatware and napkins, formally placed around a table large enough to comfortably seat 12 people. The best part however was their enthusiasm in hosting their guests, and making sure their guests were taken care of. They provided maps, recommendations and contacts which helped make our trip so memorable. 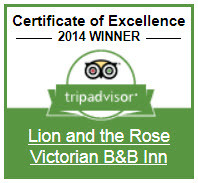 The Lion and the Rose is one of the best B&Bs that we have ever stayed in.